Young adults in their twenties who regularly “binge” drink have higher blood pressurewhich may increase the risk of developing hypertension, says a new study. Binge drinking was defined in the study as consuming five or more alcoholic beverages in less than two hours. 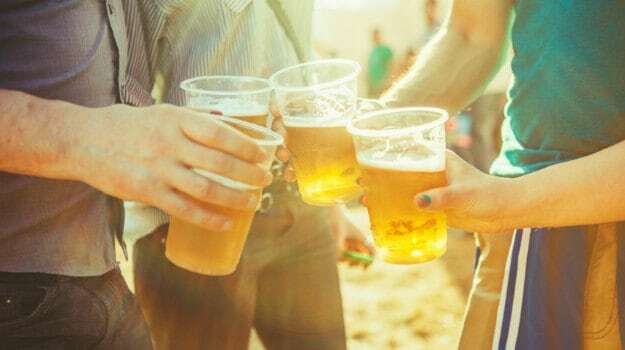 “We found that the blood pressure of young adults aged 20 to 24 who binge drink was two to four millimeters of mercury higher than non-binge drinkers,” said senior author of the study Jennifer O’Loughlin from University of Montreal Hospital Research Centre (CRCHUM) in Canada. The study was published today in the Journal of Adolescent Health. Data on alcohol consumption at age 20 were collected from 756 participants in the Nicotine Dependence in Teens study, which has followed 1294 young people from diverse social backgrounds in Montreal, Canada since 1999. Data were collected again at age 24, at which time participants’ systolic blood pressure was also taken. Systolic blood pressure measures the pressure in the arteries when the heart beats (when the heart muscle contracts), and it should be below 140 millimetres of mercury. A blood pressure reading of more than 140 over 90 indicates high blood pressure. The latter number, diastolic blood pressure, measures the pressure in the arteries between heartbeats (when the heart muscle is resting between beats and refilling with blood). “Our findings show that more than one in four young adults who binge drink meet the criterion for pre-hypertension ( a systolic blood pressure between 120 and 139 millimetres of mercury),” O’Loughlin said. “This is worrisome because this condition can progress to hypertension, which in turn can cause heart disease and premature death,” O’Loughlin noted.